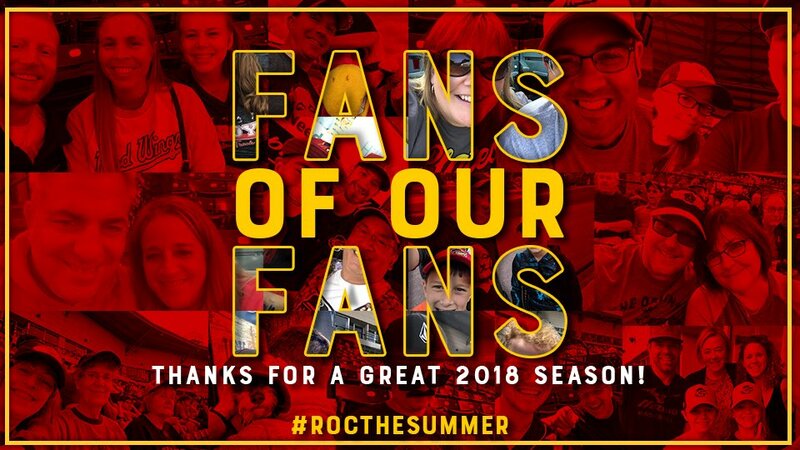 On behalf of our front office, Board of Directors, manager Joel Skinner, his coaching staff and all our players, we want to say thank you for your incredible support of Red Wings baseball again this season. It was another season that provided a number of great memories on and off the field. Twenty-seven different players played for both the Red Wings and Minnesota Twins this season and many former Red Wings will continue to play a vital role for the Twins the rest of this year and next year. We were fortunate to host some players that will go on to have long and fruitful major league careers. We look forward to hosting your family and friends again next season and creating some more lifelong memories. Until next year we hope that the memories of the majestic homeruns, walk off wins, diving catches, fireworks, ballpark cuisine, autograph appearances, running the bases with Spikes and Mittsy and more will help you survive the off season. Thanks again for your support! We'll see you in 219 days on Opening Day, Thursday, April 11, 2019!